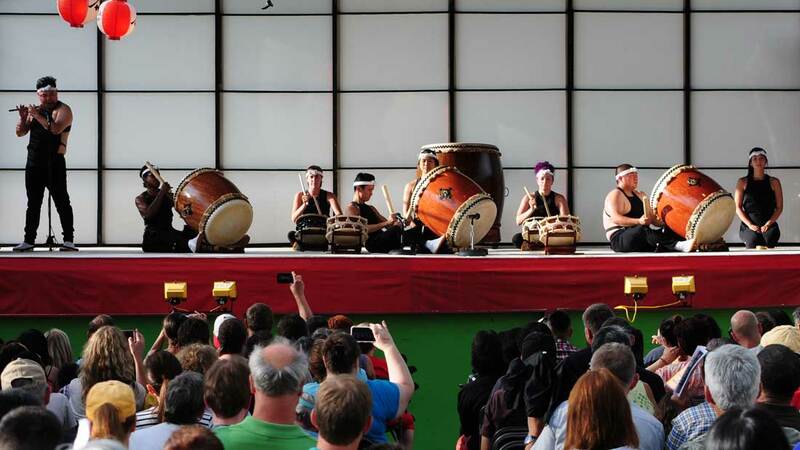 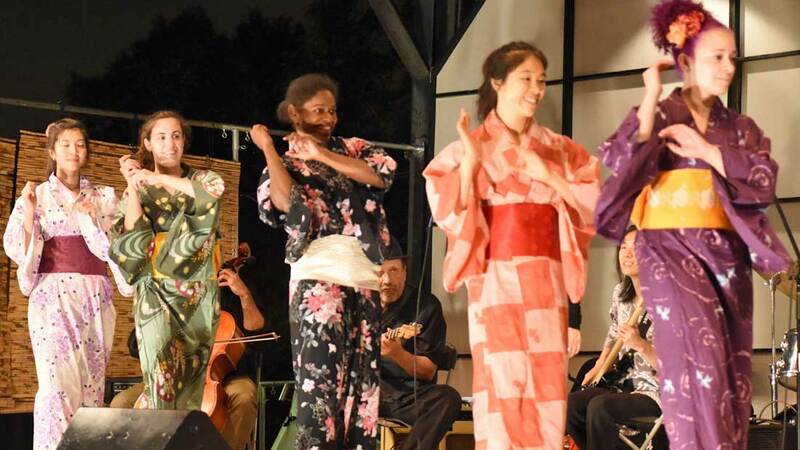 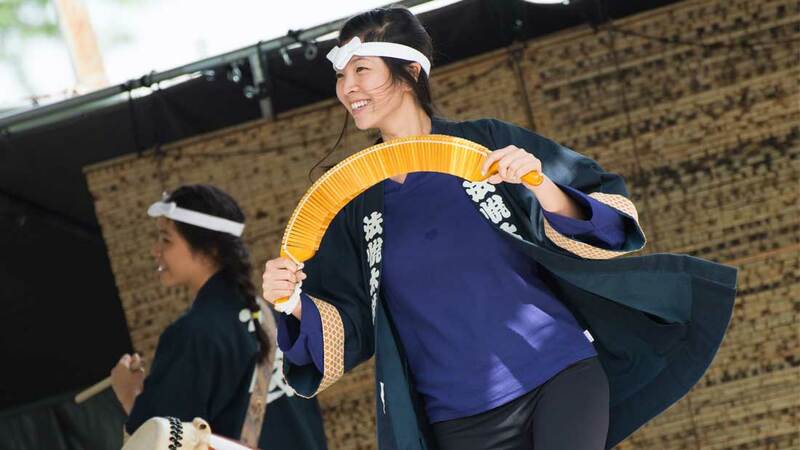 Midwest Buddhist Temple’s annual Ginza Holiday Festival is the highlight of our summer season. 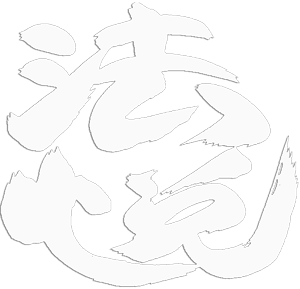 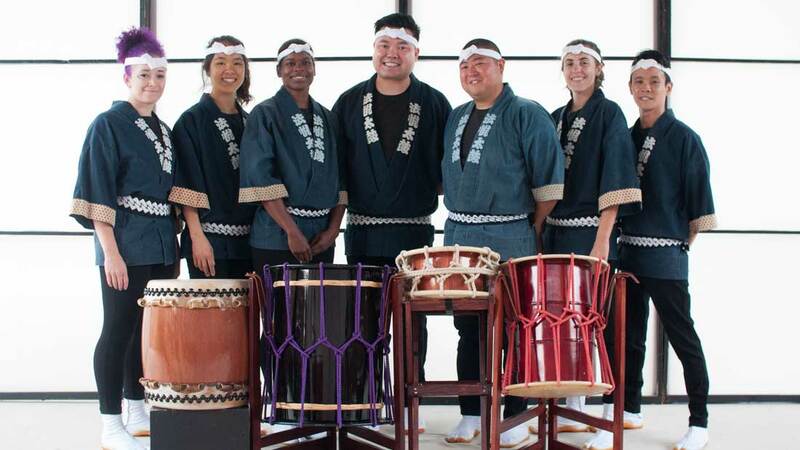 Ho Etsu got its start as a youth drumming group at MBT, and we remain gratefully and inextricably linked with the Temple community. 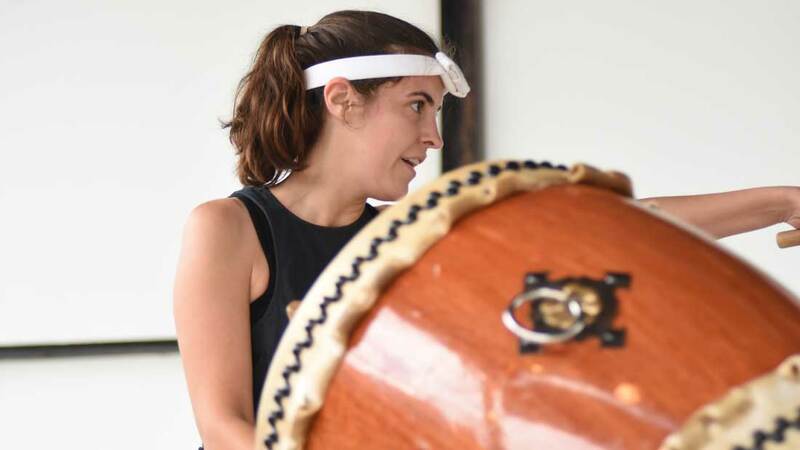 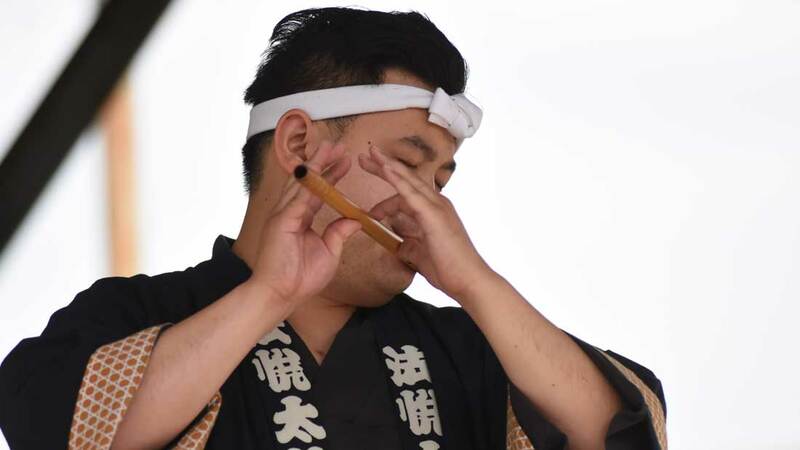 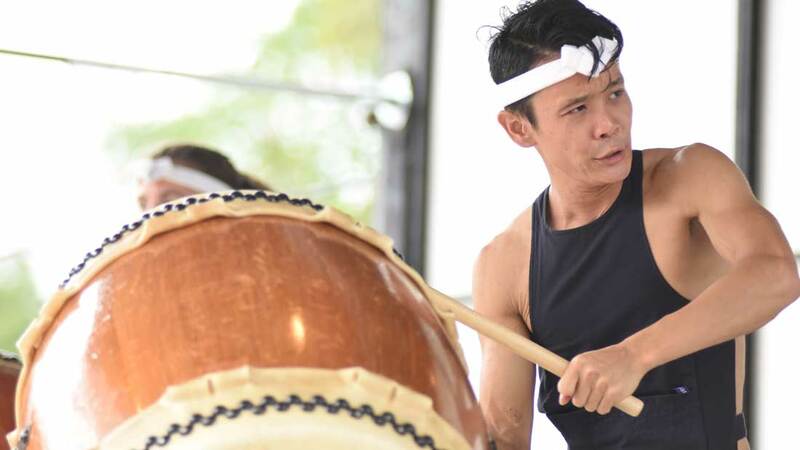 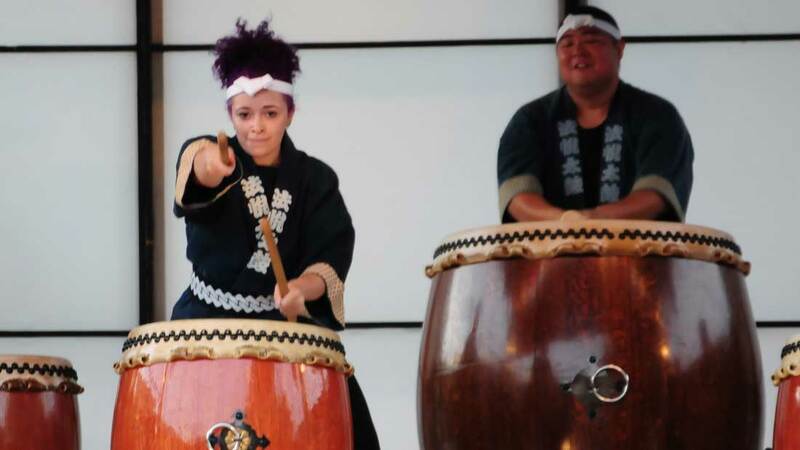 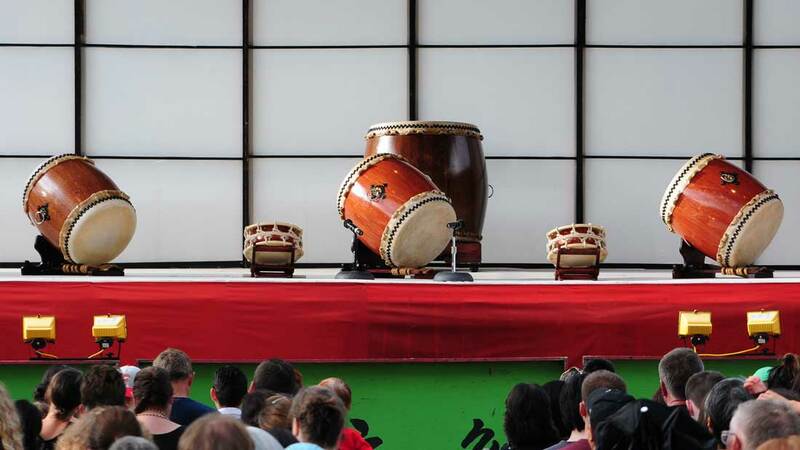 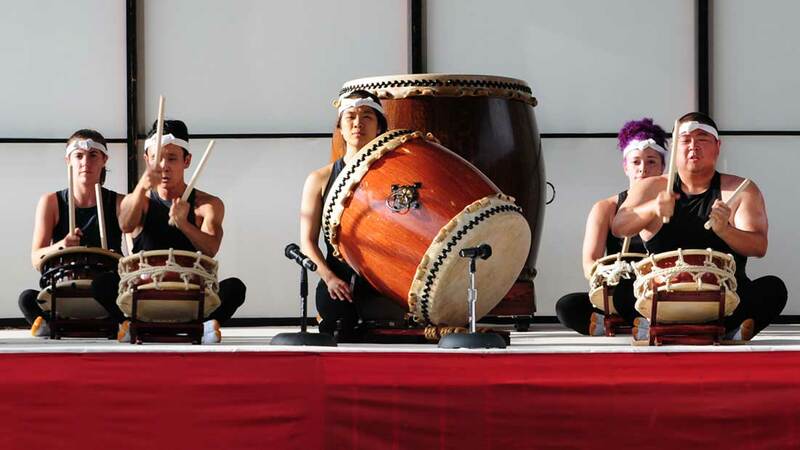 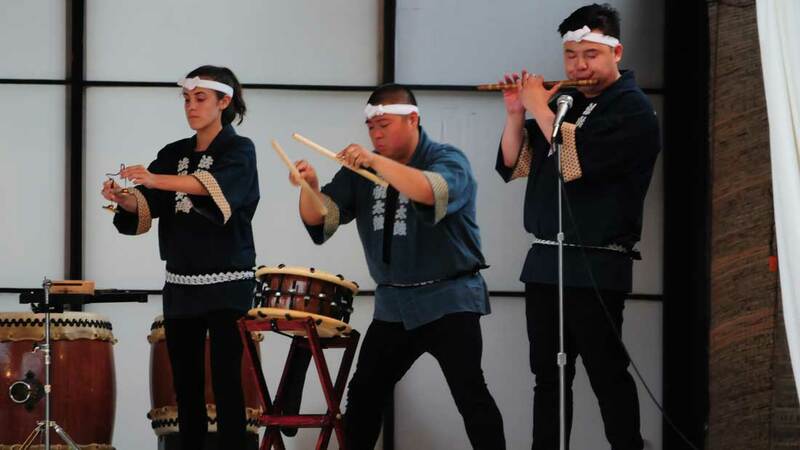 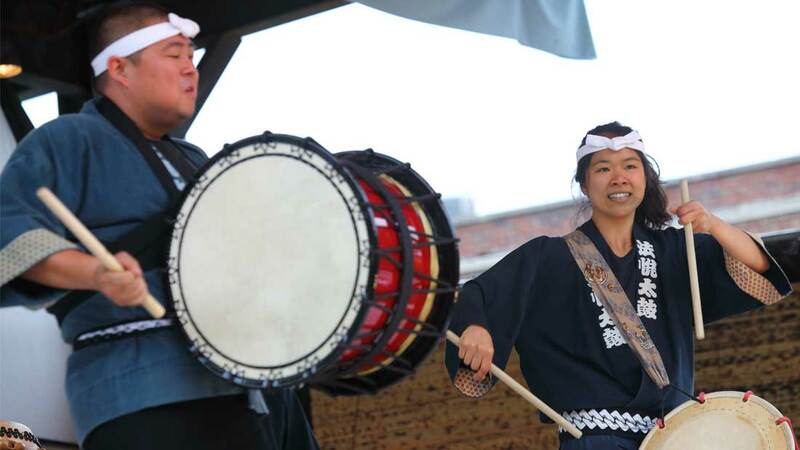 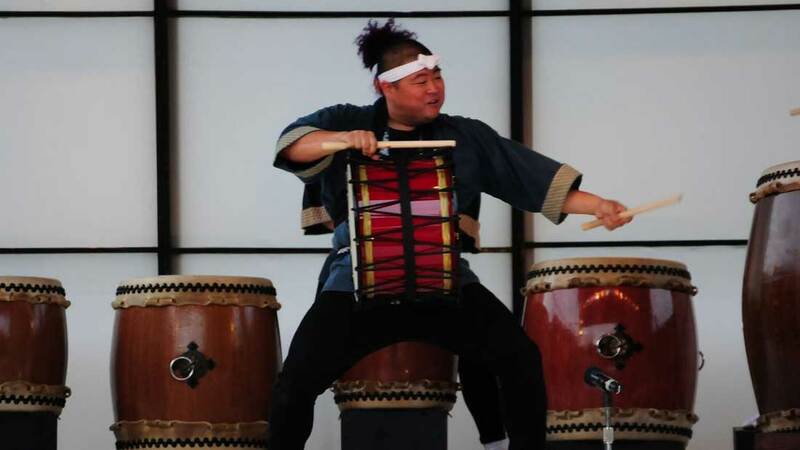 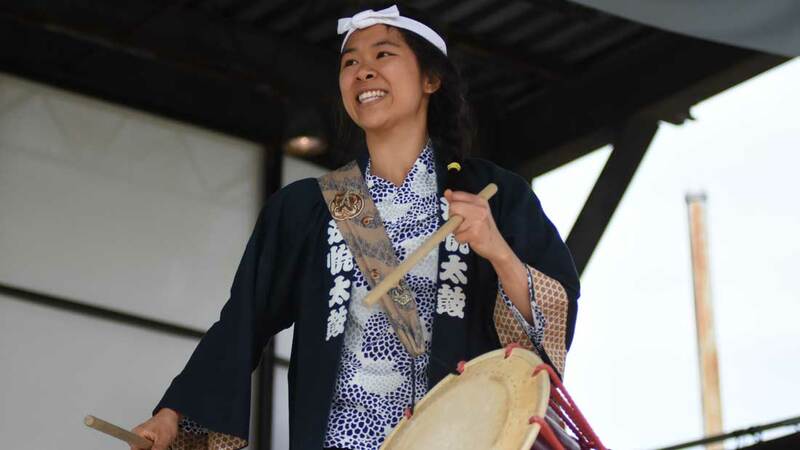 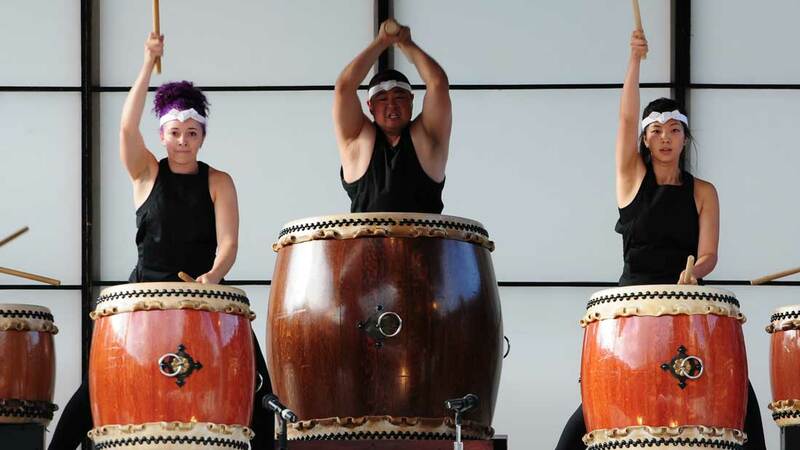 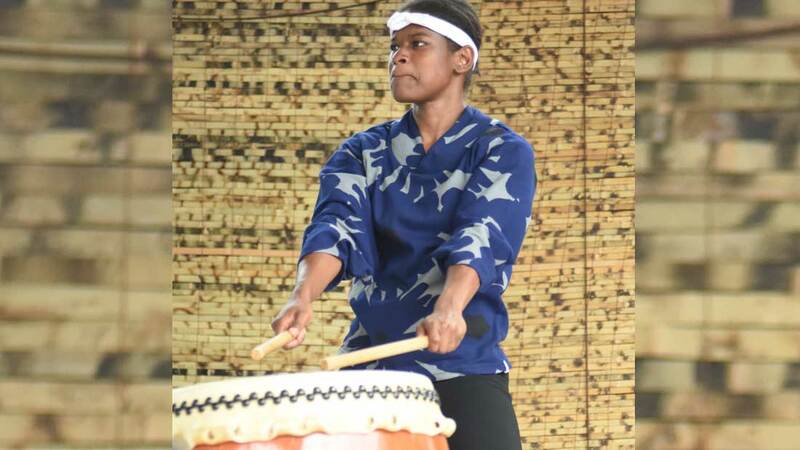 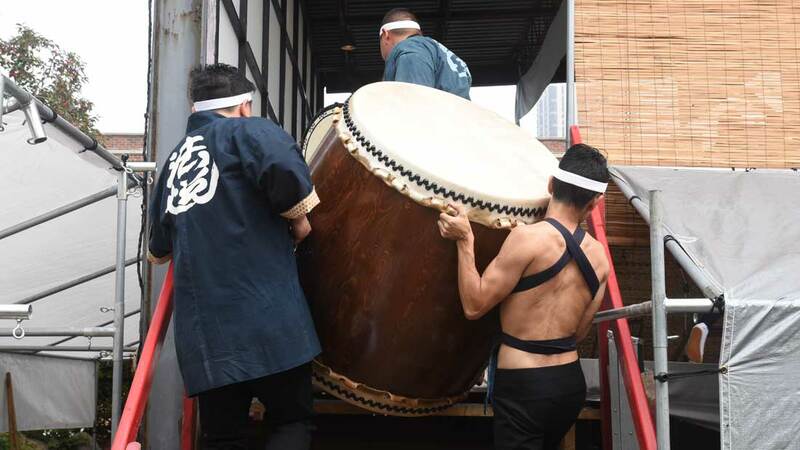 Ginza is our chance to give back by performing on the festival stage as supporting entertainment, collaborating with the MBT Taiko ensemble and, in between shows, volunteering at the Ginza food stands and ticket counters. 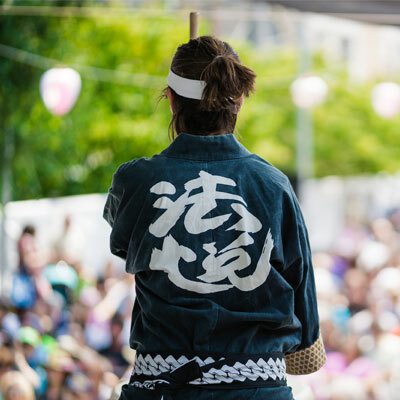 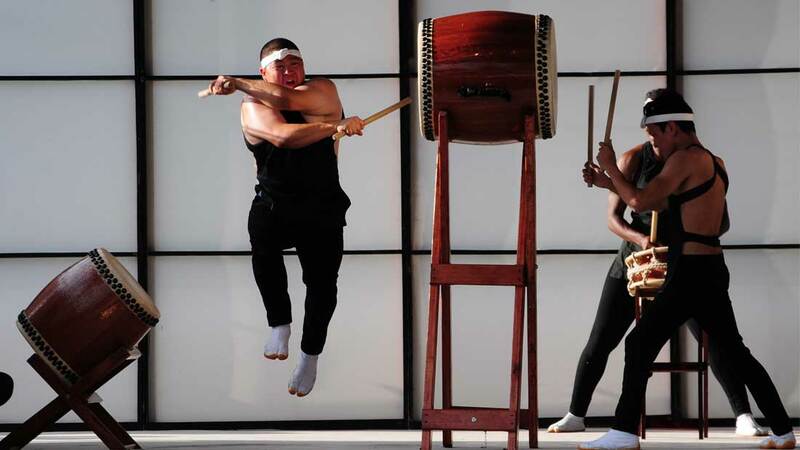 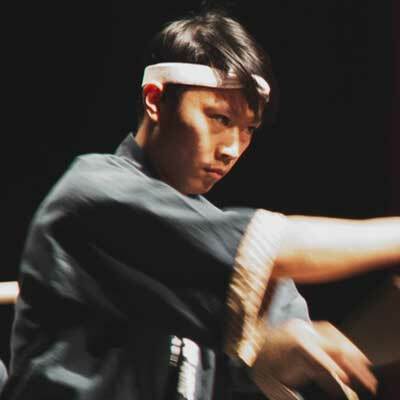 This is Ho Etsu in our element, and the heart of our annual performance calendar.